Sharing stories, one keychain at a time. Bratislava is a quaint little city situated in Slovakia. It’s not mainstream in the sense that it isn’t touristic hotspot for travellers. But I thought it was great. Albeit not as flashy as some major European cities, the people were very friendly, and the historic centre of town was beautiful. I would suggest spending a maximum of two days here. We stayed at the Chopin airport hotel, and it was great. So here is my top three attraction list in Bratislava. There are more sites, but if you are short of time, and you cover these, you will pretty much get the essence of the city. 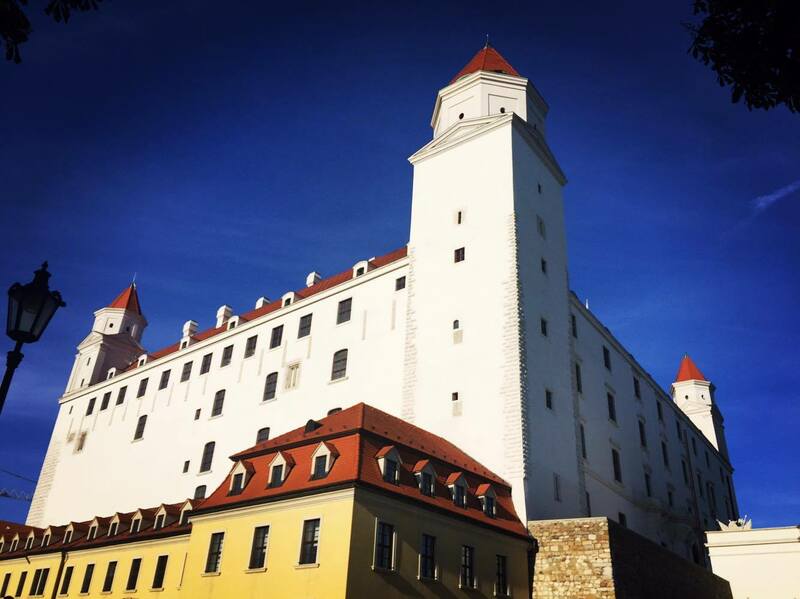 Also known as Bratislava Hrad (hrad is a castle) this beautiful four-corner tower castle is situated in the middle of the city on top of a hill above the Danube River. The architecture is traditionally Slovakian, making this structure one-of-a-kind. At night, it’s completely lit up. You get great views of Bratislava up-top. Once you go to the castle don’t forget to visit the cellar – the entrance is through the courtyard. This cellar hosts a well that is at least 50 metres deep. One of the most unique churches I have seen in Europe, this monument resembles a cake. We weren’t able to go inside as it was shut, but from the outside, it was quirky and cute. It’s a little further away from city centre but worth the walk. Devin castle is more on the outskirts of the city, with a 30-minute bus ride from the centre. It’s an 800-year-old castle. What stands today are ruminants of the past. This castle is also perched on a hill, and it’s a fifteen-minute walk to the summit. The view is, again, gorgeous from above and different from the one you get in Bratislava castle. In fact, there is a river which converges with the Danube, and right on the opposite side is Austrian land. You could swim to Austria right then and there! The pictures below will tell you the rest. -The Slovaks have a lot of babies judging from the number of babies on the plane and the streets. They are certainly not suffering from the ageing population syndrome that is plaguing Europe. -The bathroom line in the plane was never-ending, and it’s the first time I have seen something of this sort. They also clapped when the plane landed (lol). This is a culture thing in some parts of Europe. -You NEED to try this amazing drink called kofola – a version of coke made from grapes. It is only available in Slovakia. They also have this non-alcoholic sparkling vine called vinya which is yummy! Great post! 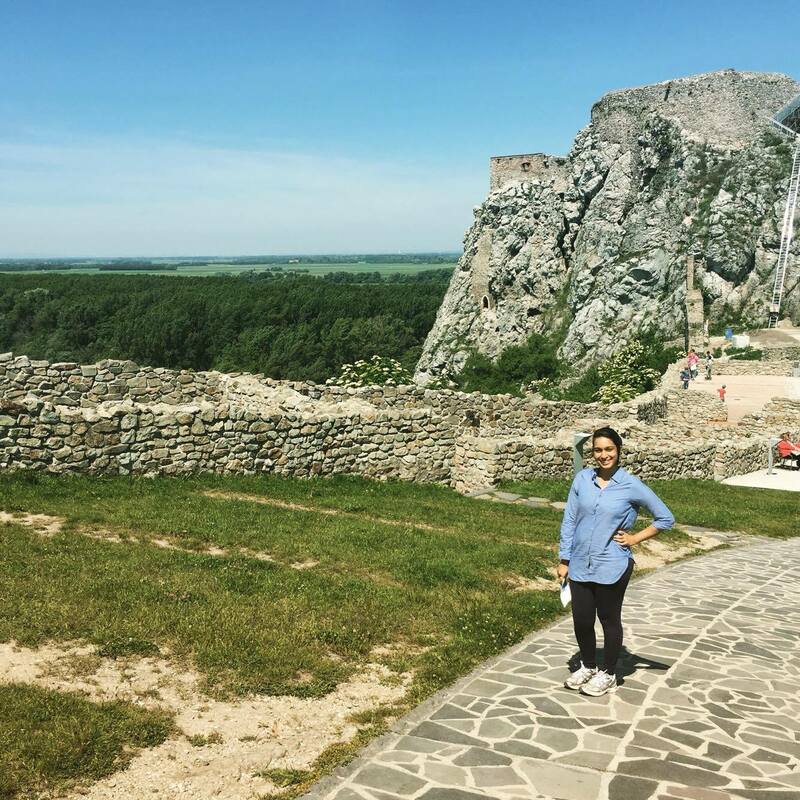 I’ve visited a few Eastern European and Balkan countries this year and there is a certain charm to these places that you can’t quite see in more tourist-packed Western Europe! I also experienced the same plane situation on the way to Tuzla, Bosnia recently! Nice! Yes I found them very interesting. I am also going to write posts on Prague, Vienna and Berlin. 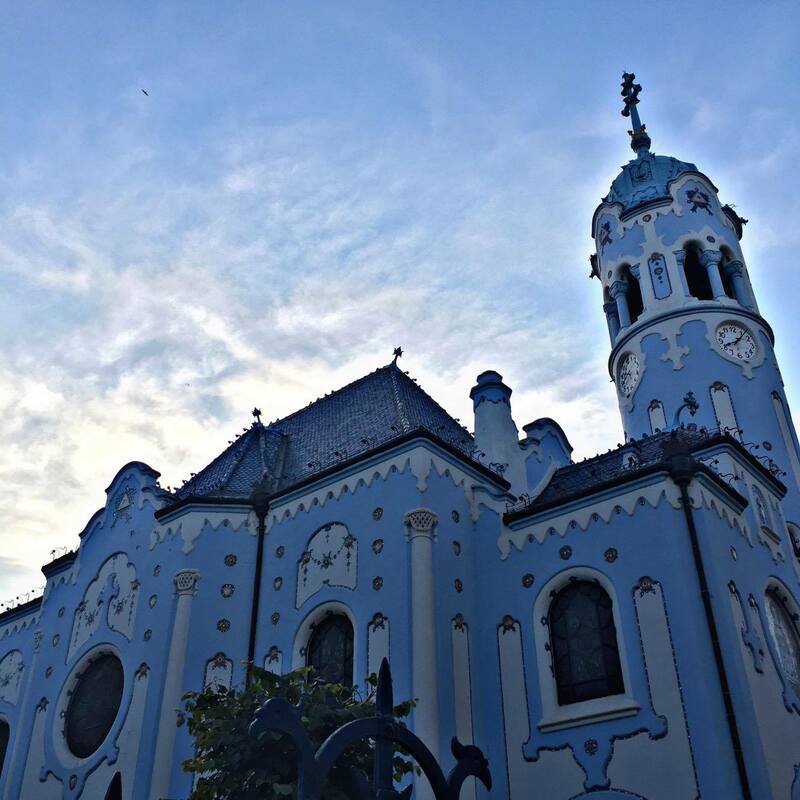 I’ve not been further east than Prague/Brno/Vienna in Europe, but Bratislava looks like an interesting destination- that church is so different (in a good way) to those in Western Europe! I’ve only experienced the plane clapping in Spain or on Ryanair flights, admittedly it does seem rather random if you’re not expecting the whole flight to break into applause! Haha yes! I had experienced it before too but my friend was so shocked. Well that’s why we travel to learn new things! Enter your email address to follow this blog and receive notifications of new travel posts by email.